Elizabeth Green died suddenly one night aged only 48. There was an inquest into her death and the Hereford Times reported that one of her children found her dead in her bed at night and raised the alarm with the next door neighbour. Her husband Thomas was away at the time drying hops at Castleton. The verdict was death by Natural Causes. In 1861 the remaining family were still in Westhide, although Fanny was no longer living at home. She would have been aged 12 and, with the family being so poor, she had been sent out to work. She was living in with an elderly farmer and his wife (still in Westhide at least) and was described as a "Servant of all Work" - a hard life for a 12 year old. Thomas Green died in 1875. Thomas Green and Elizabeth Lawrence had married in 1825 in nearby Avenbury. Their first child, Thomas, was born soon after in 1826, Thomas senior then being described as a labourer of Cruise Hill, Westhide. Thomas junior married Elizabeth Bayliss and moved around the country presumably for work. The last I have of him is in 1871 in Stoke Prior, Worcestershire. Their second son William was born in 1828, the family by this time having moved to Dodmarsh, Westhide. William Green married Mary and raised most of his children in Westhide too. Their family was there in the 1851, 1861 and 1871 censuses, William being an agricultural labourer in each. William appears in the Westhide rates books for Dodmarsh for the years 1858 to 1863 and 1866 to 1867. Most of their family also appeared in the church attendance lists for Westhide in at least 1872 and 1873. By 1881 the family had moved to Tarrington and by 1891 they had moved again to Yarkhill. William Green was still alive in 1901, by this time a widower though and living in Weston Beggard with his unmarried children Albert & Selina and two grandchildren. William died in Hereford in 1908. 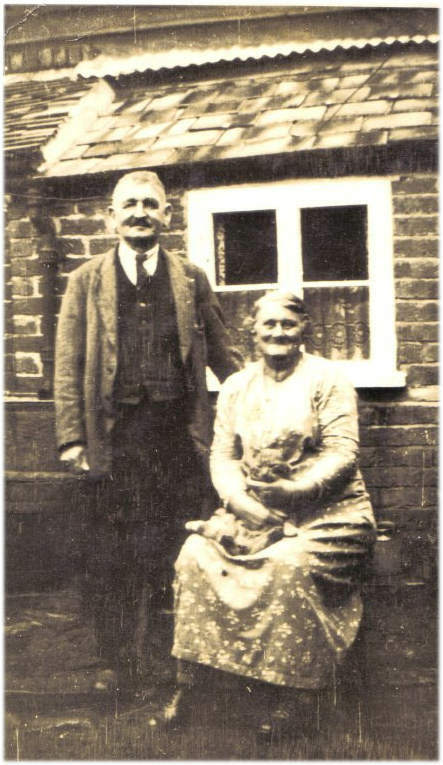 The photo below shows Albert & Selina Green in later years sitting outside their cottage. Much of the information I have on the Greens has been kindly supplied by one of Selina's great grandsons. William's youngest daughter Sarah Ann married Henry Stone in 1889. 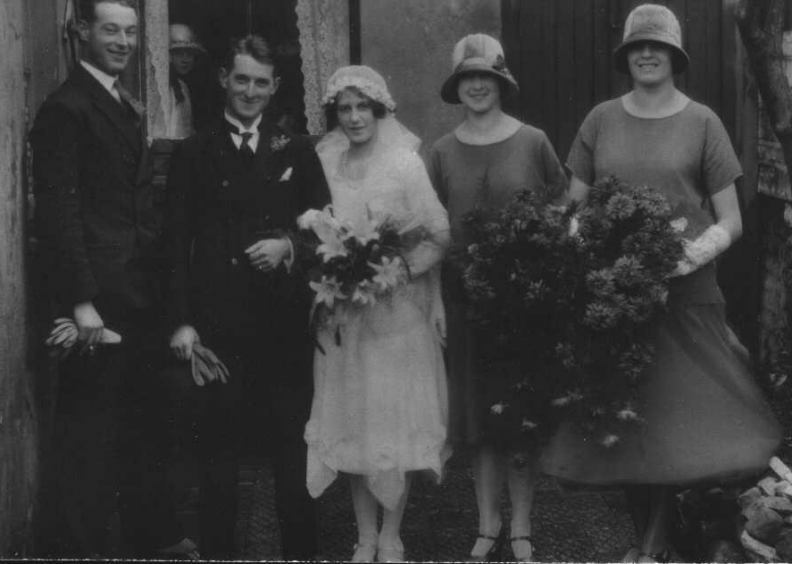 When one of their children, Valentine Stone married in 1925 in Cardiff, my grandmother Ethel Brookes was present (in the photo below), so obviously the families had stayed in touch, even though Val and Ethel were only second cousins. For a long time I didn't know what happened to Thomas & Elizabeth Green's daughter Mary. She'd vanished after the 1851 census and with a fairly common name like Mary Green I'd been unable to trace her. 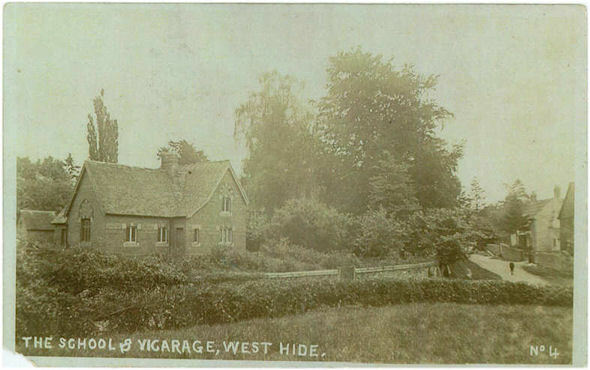 Then my cousin Michele gave me a copy of an old postcard of Westhide which had been sent from Withington by a Harriet to a Jack Beasley care of a Mrs Congrave in Tamworth. 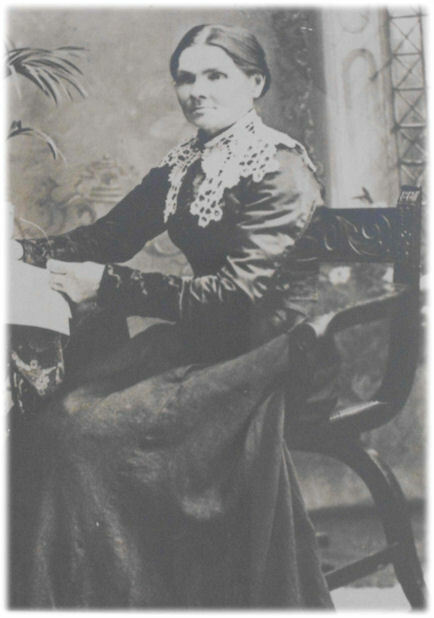 After a lot of detective work it transpired that Mrs Congrave was our Mary Green - now the second wife of William Congrave and that Harriet and Jack Beasley were her step-grandchildren. Mary obviously kept in touch with her sister Fanny Corbett to the extent that some of her husband's family spent time in Herefordshire. 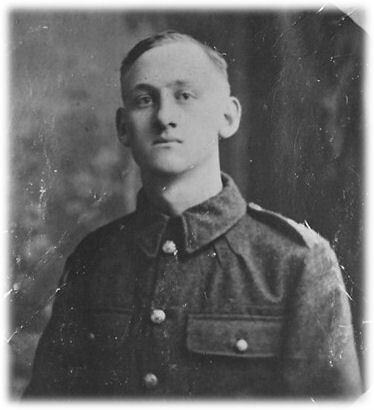 Sadly young Jack Beasley died in France in 1918, but I have been lucky enough to have been given a copy of a photo of him by his sister Harriet's grandson, who in turn now has a copy of the postcard his grandmother sent over 100 years ago! 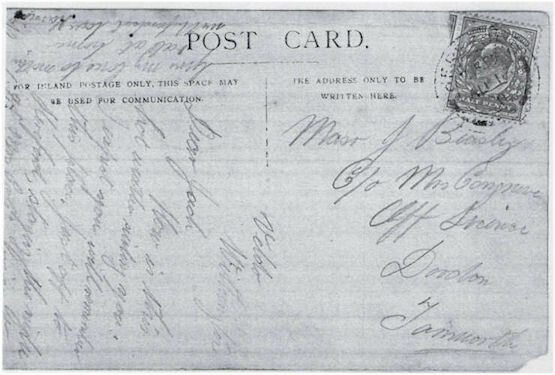 Below are the front and back of the postcard that started it all and the photo of John (Jack) Beasley. Have a look at the tree below to see where the Congraves and Beasleys fit into the Green family.